For 40 minutes Tuesday night, the Rangers skated as if they were still on their All-Star Break, falling behind the Columbus Blue Jackets, 6-0. A furious 3rd period rally made it interesting, but the Blueshirts fell to Columbus at The Garden, 6-4. Henrik Lundqvist gave up three goals on 16 shots, and was pulled from the game just 3:38 into the 2nd period. Antti Raanta came in and played the rest of the way, giving up three goals on just ten shots. Seth Jones had two goals for Columbus. Alexander Weinberg added a goal and two assists, and Brandon Saad had a goal and an assist. Jimmy Vesey, Michael Grabner, Chris Kreider, and Kevin Klein scored in the 3rd period for the Rangers. The Rangers [now 31-18-1, 63 pts] play the Sabres in Buffalo Thursday night. Steve Mason made 34 saves, and Philadelphia got 3rd goals from Wayne Simmonds and Jakub Voracek, as the Flyers beat the Rangers, 2-0, Wednesday night at The Garden. The loss snapped a three-game winning streak for the Blueshirts. Simmonds’ goal, a power play goal 6:09 into the 3rd period, broke a scoreless tie. Amid a scramble in front of Henrik Lundqvist, Simmonds picked up a loose puck and scored his 20th goal of the season. Minutes later, Voracek skated out from behind the Rangers’ goal and shot toward the net. The puck appeared to deflect off Michael Grabner‘s leg and then slide between the legs of Kevin Klein and into the net for a goal at 9:45, to put the Flyers up 2-0. The Blueshirts played well initially Wednesday, racking up 16 shots on goal in the 1st period. But they were unable to solve Mason. Lundqvist made 24 saves. The New York power play was 0-for-3, and is now 0-for-its-last-14. The Rangers [now 31-17-1] are off for the All-Star Break, and resume play Tuesday January 31st at The Garden against the Columbus Blue Jackets. Henrik Lundqvist continued his strong play of late, stopping 36 shots, as the Rangers edged the Los Angeles Kings, 3-2, Monday night at The Garden. Brandon Pirri, Matt Puempel, and Mats Zuccarello scored for the Blueshirts. It was the team’s 3rd straight victory, while the Kings lost their 4th straight game. Lundqvist was particularly impressive in the 1st period, making 14 saves, including a stop on a Jeff Carter breakaway. Pirri got the Rangers on the board 11:31 in to the 1st period, beating Jeff Zatkoff with his 8th goal of the season to make it 1-0. Puempel, back in the line-up after missing eight games with concussion symptoms, made it 2-0 New York at the 13:28 mark of the 2nd period. But Jordan Nolan cut the lead to one with a goal at 18:01 that made it a 2-1 game. In the 3rd period, Zuccarello scored his first goal since December 15th, off an assist from J.T. Miller, to make it 3-1 at 6:40. The pair had combined for the game-winning goal in Detroit Sunday, with Miller getting the goal. Kyle Clifford scored for the Kings with :02 to play for the final 3-2 margin. The Rangers [now 31-16-1, 63 pts] host the Philadelphia Flyers Wednesday night at The Garden. Henrik Lundqvist stopped all 21 shots he faced and J.T. Miller scored the game’s only goal 1:56 into overtime, as the Rangers topped the Red Wings, 1-0, Sunday afternoon in Detroit. It was Lundqvist’s 20th win of the season, a mark he has now hit in 12 straight seasons, an NHL record. For Lundqvist, it has been a confidence-restoring couple of games. After losses to Montreal and Dallas last week that saw him give up 12 goals in 78 minutes of ice time, he rebounded by making 23 saves in Thursday’s 5-2 win at Toronto, before blanking the Red Wings Sunday. Miller’s goal in the 3-on-3 overtime came off a great pass from Mats Zuccarello at the very doorstep of the Detroit goal. Miller beat Red Wings netminder Jared Coreau for his 16th goal of the season. Zuccarello leads the Blueshirts with 29 assists on the season. The Rangers [now 30-16-1, 61 pts] host the Los Angeles Kings Monday night at The Garden. Michael Grabner scored his 20th and 21st goals of the season, and Henrik Lundqvist made 23 saves in a confidence-building performance, as the Rangers beat the Maple Leafs, 5-2, Thursday night in Toronto. Kevin Hayes had two terrific assists, and Brady Skjei added a goal and an assist to the New York offensive attack. In 46 games, the Blueshirts have scored 5 or more goals 17 times. Skjei got the offense going in the 1st period with his 2nd goal of the season, at 6:42, off a pass from Mats Zuccarello. Zuccarello has 28 assists this season, tops on the team. Tyler Bozak answer for Toronto at 10:16 that tied the game, 1-1. Pavel Buchnevich made it 2-1 at 14:44 of the 1st, amid a wild scramble in front of the Toronto net. Buchnevich lifted a rebound over Maples Leafs goalie Frederik Andersen for the goal. In the 2nd period, J.T. Miller scored his 15th goal of the season at 9:02, off a cross-ice pass from Hayes, to make it 3-1. Zach Hyman‘s unassisted goal with 3:58 to play in the period cut the New York lead and made it 3-2. The teams went deep into the 3rd period without scoring until Grabner’s short-handed goal at 14:57. He took a terrific pass up-ice from Hayes, streaked in on Andersen and scored to make it 4-2 and give the Blueshirts some breathing room. Grabner’s empty net goal with 2:57 to play provided the final 5-2 margin. The 29-year-old Grabner has 21 goals on the season, 2nd most in his career [34 for the Islanders in 2010-11]. The Rangers [now 29-16-1, 59 pts] play the Red Wings in Detroit Sunday afternoon. What to think after Tuesday’s 7-6 loss to the Dallas Stars at The Garden? Demoralization, after the team’s performance in the first two periods, which saw them trailing 7-3 after 40 minutes? Anger, at the fans who booed Henrik Lundqvist at the end of the 2nd period? Encouragement, at the high-flying offense, which scored six goals? Or head-shaking bewilderment, at the Blueshirts’ defense, which clearly needs a kick in the pants? One thing is true: The Rangers have now lost three straight games, their longest losing streak of the season. The Stars scored three goals in a five-minute span of the 2nd period to take a 7-3 lead, and held off a furious 3rd period rally by the Rangers to win 7-6. Patrick Sharp scored twice to lead the Stars. Patrick Eaves and Jamie Benn each added a goal and two assists. Derek Stepan and Mika Zibanejad each scored two goals; it was Zibanejad’s first game since suffering a broken leg November 20th. Stepan gave the Rangers a quick 1-0 lead just 27 seconds into the game, before many Rangers fans had sat down, lifting a wraparound over Dallas goalie Antti Niemi. But Eaves [a power play goal], Sharp, and Benn each scored to make it 3-1 Dallas after one period. In the 2nd, the slide continued as Antoine Roussel made it 4-1 at 4:32, but Zibanejad’s goal at 9:56 cut the lead to 4-2, and Pavel Buchnevich‘s tally at 12:06 made it a one-goal deficit, 4-3. Then the problems of the New York defense continued, as the Stars scored three times before the end of the period to make it 7-3, on goals from Sharp, Adam Cracknell, and Cody Eakin. The New York played with urgency at the start of the 3rd period. Goals by Chris Kreider [a power play goal at 3:11 of the 3rd], Stepan [at 5:31], and Zibanejad [at 7:26] made it 7-6 but the Blueshirts could not tie the game. Lundqvist allowed seven goals on 27 shots. Markus Hellberg, in uniform with Antti Raanta out 7-10 days, started the 3rd period for the Rangers and stopped all four shots he faced. The Rangers [now 28-16-1, 57 pts] play the Maple Leafs in Toronto Thursday night. 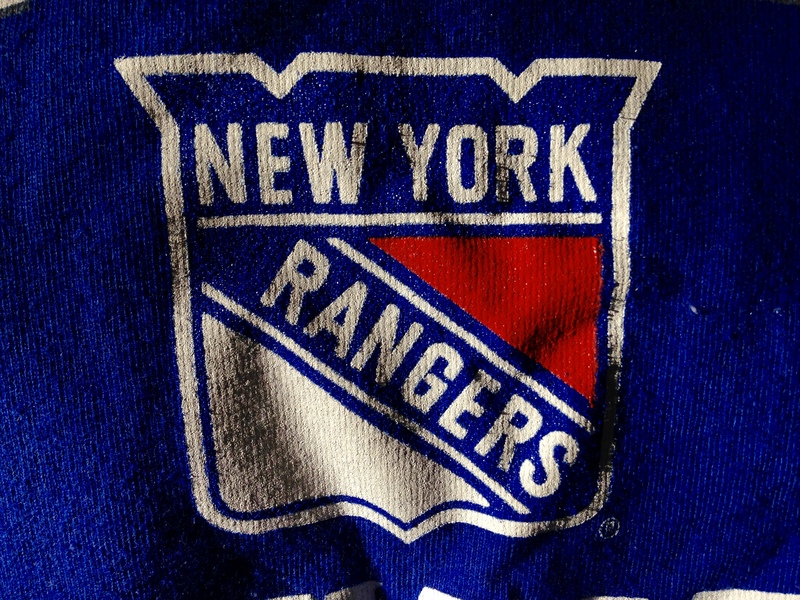 The Blueshirts lost to Toronto last Friday night, at The Garden, 4-2. The Montreal Canadiens scored three goals in a 62-second span of the 3rd period, and went on to beat the Rangers, 5-4, Saturday night in Montreal. The Blueshirts have lost two straight games, 3 of 5, and are 5-5-0 in their last ten games. It was the first time all season that New York had lost the 2nd game of a back-to-back. Carey Price made 29 saves in the win for Montreal. Trailing 3-2 entering the 3rd, Alexei Emelin [10:53 into the period], Max Pacioretty [11:29], and Paul Byron [11:55] scored to make it 5-3 Montreal. Derek Stepan‘s goal with 5:07 to play made it 5-4, but the Rangers could not tie the score. The Rangers had taken a 3-2 lead in the 2nd period on J.T. Miller‘s shorthanded goal at 11:07, off a great pass from Kevin Hayes. It was Miller’s 14th of the season. Brandon Pirri and Rick Nash had the other New York goals. After going 0-for-6 on the power play in Friday’s loss to Toronto, the Rangers were 1-for-3 Saturday, getting Pirri’s goal 12:24 into the game. Antti Raanta started the game for the Rangers but left the game after the 1st period with an undisclosed injury, and with the Blueshirts up 1-0. Henrik Lundqvist gave up all five Montreal goals and took the loss. The Rangers [now 28-15-1, 57 pts] host the Dallas Stars Tuesday night at The Garden. Special teams told the tale Friday night at The Garden: the Rangers went 0-for-6 on the power play, and the Blueshirts’ penalty kill unit gave up two Toronto power play goals, as the Rangers lost to the Maple Leafs, 4-2. The Rangers fell behind in the 1st period, 2-0, as Toronto got goals from William Nylander [4:49 into the 1st], and James van Riemsdyk [a powrplay goal at 17:28]. Chris Kreider cut it to 2-1 at the 9:05 mark of the 2nd period; it was Kreider’s 17th of the season. But Connor Brown of the Maple Leafs answered at 14:27 of the period to make it 3-1. Connor Carrick made it 4-1 Toronto with a power play goal at 13;:20 of the 3rd period. J.T. Miller‘s 13th goal of the season with 1:25 to play made it 4-2, but the Blueshirts could get no closer. Frederik Andersen made 34 saves to record the win for Toronto. Henrik Lundqvist stopped 23 of the 27 shots he faced. The Rangers [now 28-14-1, 57 pts] play the Montreal Canadiens for the first time this season, Saturday night in Montreal. Michael Grabner‘s goal with 0:16 to play capped a furious Rangers comeback, as the Blueshirts roared back from a 4-1 deficit to beat the Blue Jackets 5-4 Saturday night in Columbus. The Rangers have now won 5 of their last 6 games. Grabner and Adam Clendening scored two goals each, and Henrik Lundqvist made 33 saves. Lukas Sedlak‘s goal for the Blue Jackets just 3:00 into the 2nd period put the Rangers in a 4-1 hole. But Grabner’s wrist shot just 72 seconds later cut the deficit to 4-2. Then in the 3rd, Clendening’s goal from the left faceoff circle at 1:22 made it 4-3, aided by a great screen from J.T. Miller. Later, Clendening’s shot from the right boards with 7:13 to play tied the game 4-4. Clendening had only scored two goals in his 60-game NHL career, before adding two goals Saturday. Then, with the game looking like it was heading to overtime, Grabner stole the puck, swooped in on Blue Jackets goalie Curtis McElhinney, and scored the game-winner at 19:44. Grabner now has a team-leading 18 goals on the season. Grabner finished with two goals and an assist. Oscar Lindberg added a goal and an assist. The Rangers [now 28-13-1, 57 pts] have five, count ’em, five days off before hosting the Maple Leafs Friday night. 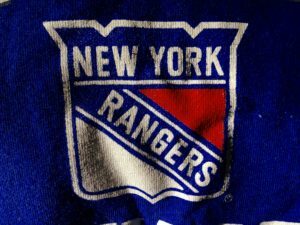 The Rangers came out flat, fell behind early, and lost to the Buffalo Sabres Tuesday night at The Garden, 4-1, snapping their three-game winning streak. Anders Nilsson of the Sabres stopped 24 of the 25 shots he faced. The Sabres came into the game having lost 6 of their last 7 games. Henrik Lundqvist made 15 saves. The Sabres scored a pair of goals in the opening period; Zemgus Girgensons [at 12:17] made it 1-0, and then Evander Kane made it 2-0 with 39 seconds to play. In the 2nd period, Buffalo’s Justin Bailey scored his first NHL goal, just 63 seconds into the period, to make it 3-0. New York finally got on the board when Nick Holden scored his 8th goal of the season, at 15:55 of the 2nd, to make it 3-1. But Jack Eichel‘s 7th of the season, just 1:10 into the 3rd period, made it a three-goal margin again, 4-1. The Rangers [now 26-13-1, 53 pts] play the Flyers Wednesday night in Philadelphia.